Booth Concrete import light weight aggregates from Germany, The Czech Republic and the U.K. for their own use in the manufacture of light weight concrete products such as chimney systems. 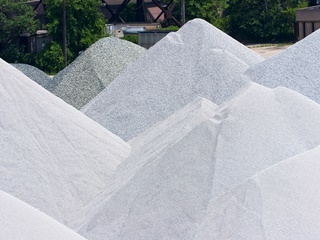 These light weight aggregates are also available for sale to other Precast Companies for the manufacture of products where weight is a factor. The light weight aggregates are also used to produce light weight blocks which have a very high U and K value and will save money on the heating of a structure which is very important with the high fuel prices that we are now experiencing.